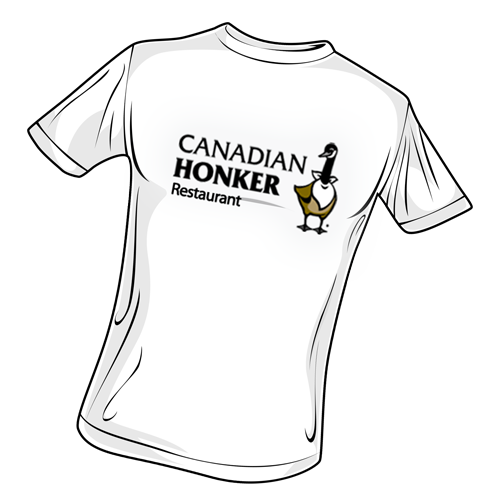 For more than a quarter of a century the Canadian Honker Restaurant has taken great pride in our family serving yours. Since 1984, our family has been preparing the freshest, made from scratch recipes to create some of your most memorable meals. Serving breakfast, lunch and dinner, favorites include the Honker Breakfast Feast, world famous Bunnie’s Coconut Cake, homemade soups and stews to pan seared walleye, hand cut steaks, prime rib and fresh jumbo shrimp. The Canadian Honker offers special children’s and senior offerings as well as a gluten free and vegetarian menu. Located in Rochester, Minnesota directly across the street from St. Marys Hospital, the Canadian Honker Restaurant is known for providing a friendly and comfortable home away from home atmosphere with exceptional customer service and outstanding homemade meals. We are also honored to be chosen as a 2014 Dream Big Blue Ribbon Small Business of the Year Award Winner. We work hard to provide the best service and are delighted to be recognized in this way. The Canadian Honker Restaurant & Catering was established in 1984. It was a difficult task considering the owner, Joe Powers, was only 21 years old and the location had 8 restaurants fail in a 10-year period of time. Joe’s passion for the industry and his past working experience at all levels within the restaurant industry helped to convince the bank to give him a loan. Joe opened the Canadian Honker Restaurant in the front of a house that sat 40 guests. In 1987 he built a new restaurant on the main floor of the Bell Tower Motel, located across the street from Mayo Clinic’s St. Mary's Hospital with a seating capacity for guests of 85. In 1998 the Canadian Honker bought land directly across from St. Marys Hospital on Second Street and built a beautiful 8,000 square foot state of the art facility Today, the facility is a bustling and welcoming environment that seats up to 165 guests and estimates it has served more than 3 million customers since opening its doors. The restaurant features outdoor seating, a full service bar, live entertainment, clothing and merchandise with plenty of free parking. The name Canadian Honker resonates what’s uniquely loved in Rochester — the giant Canadian Geese! In 1948 a power plant was built near Silver Lake in Rochester, Minnesota. The power plant used water from the lake for cooling and the heated water was discharged back into the lake. This had the effect of keeping most of the lake ice-free during the winter. Each fall, the flock of geese that stopped in Rochester during their annual migration south grew, and each year more geese wintered at Silver Lake. Then, in 1962, an important discovery was made about the flock at Silver Lake. Biologists confirmed that members of this flock were giant Canada Geese, a subspecies that was thought extinct. 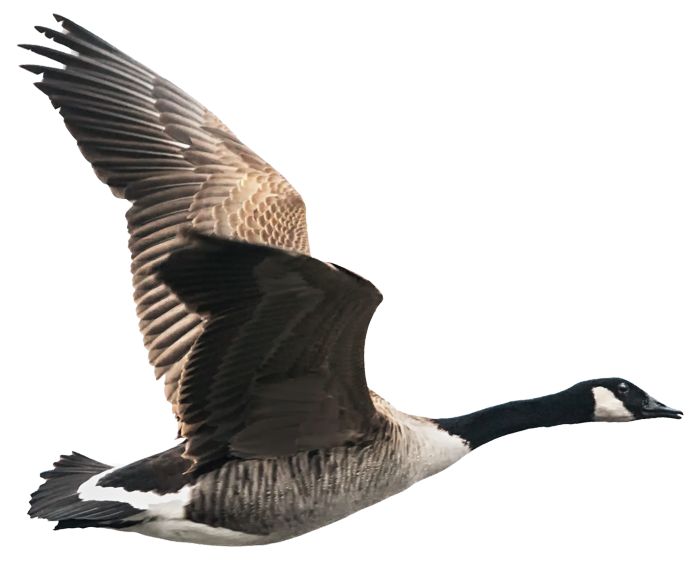 The giant Canada’s carry a few distinct differences from other Canada Geese; they have longer necks, broader bills, and a slightly lighter plumage. The average giant Canada weighs 12 to 14 pounds compared with an average of 8 pounds for a normal Canada Geese. During the peak of the annual migration, the air around Rochester is filled with geese, with up to 35,000 stopping at Silver Lake, many of them staying throughout the winter and feeding in the farm fields that surround Rochester. At Powers Ventures we do more than just provide food service, we build and nurture relationships. With our principal philosophy on excellence and personal accountability we are committed to 100% guest and customer satisfaction and we empower our teams to ‘do what it takes’ to help our belief come to life. Our culinary team of experts rises to the challenge of pleasing the most discerning pallets. Our professional and courteous wait staff prides itself on impeccable hospitality and expert attention to details. Born and raised in Rochester, MN, owner Joe Powers began working as a dishwasher in a hotel while still in high school. Upon graduation he began work as a Sous Chef and was promoted to Executive Chef for Lebristro’s French Café. This fueled the flames that ignited a passion for Joe and his love for the food service industry that has spanned more than 28 years. From humble beginnings opening the Canadian Honker Restaurant at age 21, Joe had a tremendous work ethic and passion for quality. This focus has served him well as Joe has recently been asked to become a member of the “Top Gun” caterers, through Catersource, an elite group that represents the nations top 50 independent caterers by region throughout the country, Joe and his team has served an estimated 3 million customers and counting. Presently, Joe is the owner of The Canadian Honker Restaurant and Catering, Rochester Event Center and Canadian Honker Events. Joe enthusiastically serves the greater Rochester community and is an active board member of: Rochester Area Foundation, Shjon Podien Children’s Fund, First Homes, Poverello Foundation, Rochester Convention and Visitors Bureau and Destination Medical Community’s steering committee to name a few. As a restaurant manager, Nick Powers is responsible for the day-to-day operations of the Canadian Honker Restaurant, including the main dining room and adjacent bar. Having grown up in the family business, Nick started helping out with the restaurant when he was only 8-years old and began bussing tables on holidays such as Thanksgiving, Easter and Mother’s Day. His passion for the industry took on a full time role at age 19 when he began as a prep cook serving the 6 a.m.-2 p.m. shift learning all the recipes and how the kitchen worked. He then moved into the line cook role and also trained as a host, bartender, and a few wait shifts here and there. In addition, Nick would help with the families catering business as well as the launch of the Rochester Event Center facility. Nick is involved in the Rochester Area Chamber of Commerce and has served in the Leadership Greater Rochester program. He is passionate about food, people and is mindful of the big picture and what is truly important in life. Corey joined the Canadian Honker in 2007 when he was 17. He started as a host and has also worked as a server, and bartender in the restaurant before joining the management team in 2015. His favorite part of the job is interacting with regulars, and new guests at the restaurant - as well working with his fellow staff members on a regular basis. "Being at a location across the street from St. Marys Hospital like the Canadian Honker really brings a rewarding experience for me," he says. Growing up Samm always loved food and knew she wanted to be involved with it in some shape or form as a career. While working on her business degree at New York State University-Old Westbury, Samm worked in catering for a company in Brooklyn, New York. When she moved to Rochester, Minnesota Samm took a job at a restaurant located in one of the area’s hotels as a server to manager until the restaurant closed. Shortly thereafter she took a position with the Canadian Honker as a bartender and was given the opportunity to become one of the floor managers for the Canadian Honker Restaurant. Sue has been with Powers Ventures since 1994, she serves as the organizations CFO and also plays a key customer service role within the Restaurant/Catering. Sue’s passion with the food service industry began when she was 15 and is critical in providing customers the guidance and advice when it comes to their restaurant/catering needs. Patrick attended Winona State University where he received a degree in elementary education. After a short stint in teaching, his passion for food and the restaurant business led him to us. He joined the Canadian Honker in 2012 as a host and helping with catering. Before long, he became part of our management team here in 2014. He can often be found in the kitchen at home, as well as our kitchen here at the honker. "Food is something that brings people together, having the opportunity to provide a home cooked meal is a privilege I have each and every day," he says. We like to keep things pretty simple. The way we see it, our job is to passionately serve our customers and the greater Rochester community by providing services and products with the highest quality and freshest ingredients at a fair, value added price each and every day. We are guided by relentless focus to achieve the highest level of customer service with employees that genuinely care about our business, each other and the greater community. Acknowledge and show respect for others. Give each other help and support. Show appreciation for help received. Talk more about ‘we’ and less about ‘I’ and ‘me’. Take ownership for problems rather than blaming them on others. Be compassionate and understanding of each others personal lives. Do it right the first time, commit yourself to quality. Avoid short cuts, they always take too much time in the long run. Never let what you can’t do interfere with what you can do. We believe we have a social and moral obligation to help improve the quality of life for all those we serve. By giving back and supporting the needs in our community we’ll not only help those around us but we will also have greater societal impact. We are called to feed the hungry. The need for food in our community is greater than ever in these difficult economic times and we believe restaurants are on the frontlines of feeding people in need. Because of this, we helped establish the Rochester Community Food Relief Center, an organization that receives donations from commercial kitchens throughout the Rochester region and provides food to the needy in our community. In addition we support the Salvation Army, Family Services and Rochester Area Boys and Girls Club by providing hundreds of nutritious freshly prepared meals every day. Our military and veterans make the ultimate sacrifice each and every day and go into harms way to protect all of our freedom. 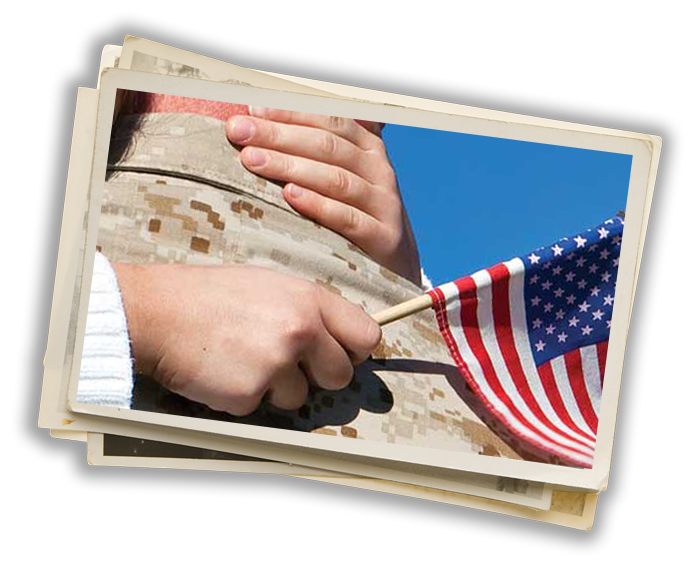 It is with sincere honor and respect that Powers Ventures is blessed with the opportunity to give back to our men and women in the armed forces and those that have selflessly served our country. Since 2006, the Canadian Honker has been proud to support and donate a breakfast feast to more than 12,000 current military and veteran’s for Rochester’s community gathering honoring their service and commitment to our country. Each year more than 600 veterans and family members gather veterans and their families. (Averaging 600 per year…. brings their total to approximately 12,000) community breakfast that honors Veterans. This past July, they donated food and their service to feed more than 6,000 Minnesota National Guard troops and their families before being deployed to Kuwait and Afghanistan. They also sponsor the grand and spectacular fireworks display on the 4th of July for the city of Rochester…. knowing the connection to honor those that have served our country. Since 2008, we have been blessed to be a part of the Serving Our Troops effort showing appreciation to the Minnesota National Guard members and their families through a delicious steak dinner. We are also a proud sponsor of the Honor Flight Network whose goal is to transport American’s veterans to Washington D.C. to visit memorials dedicated to honor their service and sacrifices. With top priority given to America’s most senior heroes-survivors of World War II, Korean War and Vietnam War.